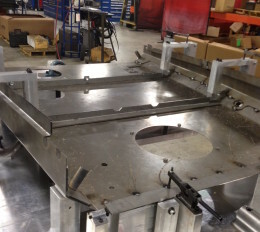 APT weld fixtures feature hardened steel contact points, bronze wear details near points of welding to prevent spatter from sticking, and NAAMS style shims to allow for adjustment. 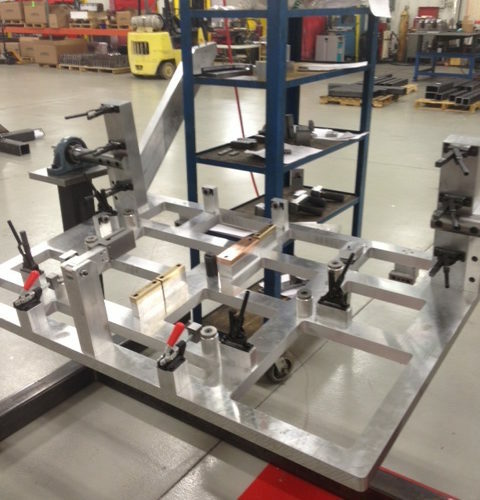 We will provide heavy duty manual or pneumatic clamping and part presence sensors if required. 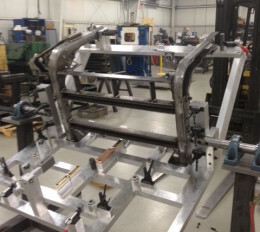 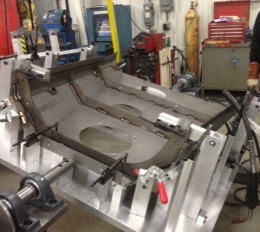 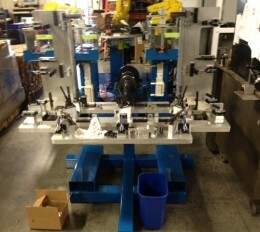 We commonly build manual and robotic style weld fixtures.